The return of President Muhammadu Buhari will lead to some serious developments. There were indications in Abuja, on Tuesday, that the Department of State Services might soon carry out a massive deployment of its personnel across the country. Investigations by The Punch showed that the transfer might come as soon as President Buhari returns to Nigeria from London, where he is on holiday. His arrival, according to investigations, will also determine the fate of the Acting Director-General of the agency, Mr Mathew Seiyefa. Seiyefa, who hails from Bayelsa State, was named as the new helmsman for the secret police after the shocking sack of the erstwhile DG, Mr lawal Daura by the Acting President, Prof Yemi Osinbajo (SAN ), last Tuesday. Osinbajo asked Daura to hand over to the most senior officer of the agency before he was handed over to the Police. Daura, it was learnt, is currently under a house arrest and is being guarded by riot policemen. He had yet to officially hand over to Seiyefa. The Punch gathered that some state governors were believed to have compromised some state directors of the agency. It was learnt that there was no way the Federal Government would allow such directors to stay in such states as the nation prepares for the 2019 general elections. A source, who was privy to the complaint of some of the affected states, said that top politicians who felt that Daura was working against their interest would use the opportunity of his removal to demand the deployment of such directors. Besides, security sources said that it was also in the interest of the government to deploy new officers to the states ahead of the elections. One of the security sources said, “Naturally, the leadership of the agency has to appraise the operational readiness of each state for the elections. “Then, it will also look at the time a particular director has stayed in a state and check the criminal record under such officer when he arrived there. These are factors that will also play some roles in whether he would stay or not. 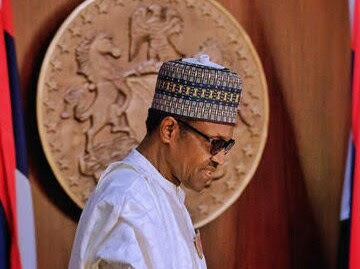 It was also gathered that the interests of top politicians in the ruling party, the All Progressives Congress, and other major political parties may be taken into consideration while considering the transfer in the agency. “Some politicians believe that their state governors have compromised the directors of the agency in their states and have turned them against them (the politicians). “While the DSS is not like police where commissioners of Police in states are politically exposed, we may have to look into such complaints if they are valid. Don’t also forget that he who plays the piper, calls the tune,” the source added. Meanwhile, it was also learnt that Seiyefa is eagerly waiting for the arrival of President Buhari to know if he would be confirmed or not. Seiyefa, who is due for retirement in July 2019, was said to have been the stabilising factor in the agency following anger by some operatives when the government returned Daura to the agency from retirement. It was gathered that while some were debating whether Seiyefa’s state of origin would not work against him in leading the agency in an election year, others were said to have argued that it could also be an asset. A Presidency source said, “There are two sides to the coin. Can government trust such a man because of where he hails from and the politics there? Will he be totally loyal to the Federal Government and President Buhari? “Yes, his state of origin and background could also be the needed credibility that will help the government. Seiyefa might not be able to effect serious operational changes in the agency unless he is confirmed by the President. Will Buhari confirm him? Fingers crossed.